"Getting started with your home automation journey can be a bit of a daunting task. There are far too many technologies and they are not all cheap. Choosing which one’s worth your money and more useful right now is a bit of a trick question when you really want it all. Yet, choose you must. So if you are on a budget, you should do a cost benefit analysis and pick out the home automation technologies you need most right now. You can always add new stuff and expand the network as you go. To begin with, a good quality home security system is a wise bet, as they are an effective deterrent according to 60% convicted criminals. 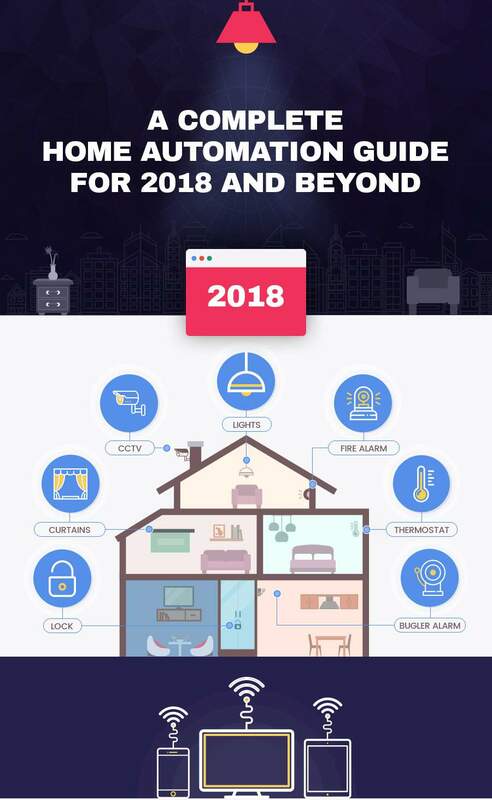 With time, if you have a little more money to spend on home automation, there are some incredible options for you that automate mundane tasks to make your life comfortable and save you time. Smart lighting and appliances that can be controlled from your smartphone, smart thermostats that not only maintain a cozy temperature but also save energy and smart furniture that gives you better quality sleep and intelligent storage options are all easily at your disposal. Check out this infographic to know more about the automation solutions you can play with and how they help you.